Well, well, well, there are just over seventeen weeks to go until the big guy with the beard comes down your chimney (no, not me! The other one! ), and delivers all manner of wonderful gifts to you and your family; provided you have been nice this year, obviously. Everyone loves giving gifts, but there are some people that are just difficult to buy for aren’t there. Many of my female friends struggle to buy things for guys – whether that be their boyfriend, husband or dad. So with that in mind, and from the perspective of a guy who gives very little away in terms of gift hints during the year, here is a budget Tech gift guide for the guy in your life. in your living room. It’s on offer for a bargain price of just £8.99 at the moment when used with a code (available through Latest Deals!). I’m sure your man loves his music and it is a scientific fact that every man likes a gadget, especially one he can show off to his mates when they come around for a drink. This smart Led bulb can change 9 main colours and over 16 million supported colours, plus warm and cool white light twinkle according to music rhythm. There is nothing more frustrating than running out of juice, especially when you are at an event or on holiday. This device is packed with juice and from a trusted brand, it includes exclusive PowerIQ Technology which detects your device to deliver its fastest possible charge speed up to 2 amps (four times faster than a computer USB port). It’s also got high capacity when charged: it will add two charges to an iPhone 6s, almost two charges to an iPhone 7, or at least one full charge to a 7 Plus, Galaxy S7, Nexus 5 or other smartphone. Or even an 70% charge to an iPad mini 3. Sticking with the Bluetooth music theme but taking it up a level (no lights I’m afraid though), is this Bluetooth Soundbar from Snowdon. This very good looking piece of tech is on offer for just £49.95 (from £120!). The Soundbar offers virtual surround sound and a built-in subwoofer from the one device, meaning no trailing wires, no need for several speakers around the room, and an easy set up which means no fuss (big fan of that). Oh, and as well as your TV and gaming device, you can stream stuff from your phone to it too! I was lucky enough to be bought one of these last Christmas and it is a really brilliant device. Simple plug n’ play tech means that you are up and running in no time, and it opens a world of on-demand programming and entertainment, live channels and even games! 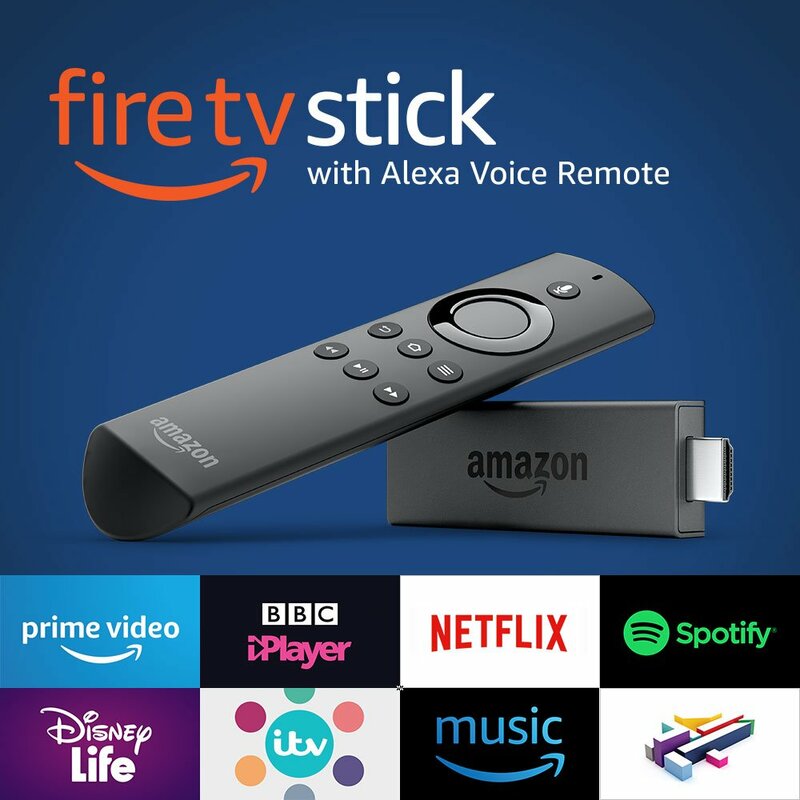 This clever device has also been updated to include an Alexa voice remote, so your guy wont even have to type anything in. You can get it direct from Amazon here. I hope that gave you some ideas to get started! I used https://www.latestdeals.co.uk and https://www.amazon.co.uk/ as my main website inspirations. Next Cardiff Health Fitness & Wellbeing Awards – get involved!